What do you think of "Laboratory" customizable variation for DoW 3? Now, DoW 3 hasn't been very successful in attracting both RTS and MOBA players. 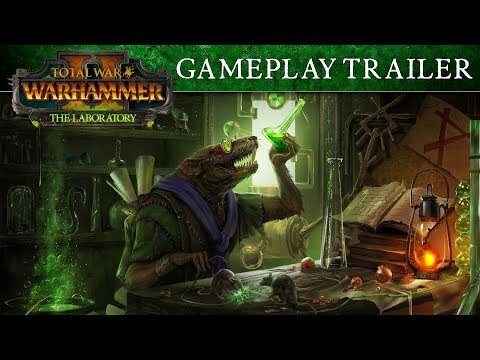 Total War: Warhammer II has a mode called "The Laboratory"
Do you think Relic could add a similar mode to DoW 3? We could have a bunch of sliders and settings and it would create a spectrum. On one end of the spectrum is RTS-like gameplay like DoW 1, on the other end would be MOBA-like gameplay. Players could also adjust for DoW 2-like gameplay and for DoW 3's current gameplay. And what would be the point/aim of it? Single player game features do not translate all that well to pvp games. And last but not least - it already exists in DoW3 for a long time - its called mods and it does absolutely NOTHING to increase population. A multiplayer version of it. I'm sure Relic could tweak it to suitability. Which mods make DoW 3 play like DoW 1, for example? Not much of a necessity. what about for drawing fans of the previous games back? As for attracting 40k fans new to DoW, I believe many love the aspect of a grand battle, which is closer to DoW 1. We already have grand battles, battles at many fronts that good players make, no idea what you suggest, big battles are already in the game. Battles but with units which play more like conventional RTSes like DoW 1.